This week’s devastating flooding is giving many people in southwest Iowa foul flashbacks to the disaster along the Missouri River eight years ago. The Republican from Red Oak says it’s too early to put a price tag on what repairs may cost after a second major flood along the river within a decade. 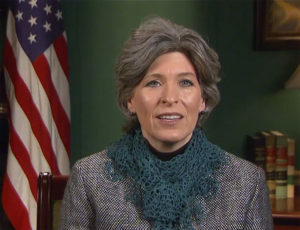 Southwest Iowa city and county leaders expressed their frustration to Ernst over not just a repeat flooding event, but the fact the U.S. Army Corps of Engineers increased flows from Gavins Point Dam to 90,000 cubic feet per second before decreasing them. They also complained about a lack of communication and information from Corps officials regarding the floods of 2019. The Fremont County Sheriff’s Office reports a 52-year-old Nebraska man was killed when the vehicle he was riding in was swept off a road in southwest Iowa near Riverton on Friday. Three men were in the vehicle when it was caught by floodwaters after driving around a barricade. Aleido Rojas Galan of Norfolk was killed while the two other men survived. Midwestern flooding is blamed for two deaths, so far.